Escorted Vacation or Ocean Cruise? 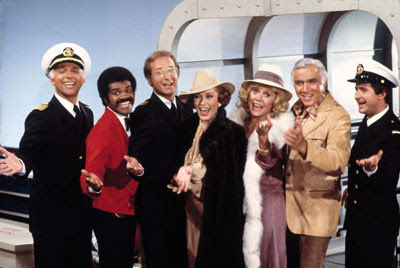 It all started with The Love Boat. Americans discovered the romantic world of cruising and they couldn't get enough. But what they didn't realize was that although there were wonderful shipboard activities, they were only seeing a fraction of what these incredible destinations had to offer. Whether choosing an ocean cruise or an escorted tour, what is most important is that you receive everything you are looking for in your perfect vacation. If you are interested in experiencing the culture of your destination, in sampling the local cuisine and meeting the people, if you want to learn the history of a country from local guides, if you want to spend time exploring and discovering off-the-beaten track treasures, then an escorted tour is for you! While cruises do offer visits to major cities, a majority of Europe's cities and scenic splendors are simply too far inland to visit in a day from a port. Over 90% of Europe's major attractions and culture are miles from the nearest seaport or navigable river, and many of Europe's great cities were built inland as a means of defense - purposely built away from the coast. Mediterranean cruise ports are often industrialized and unattractive, with few cultural attractions, and shore excursions are usually expensive add-ons averaging several hundred dollars, taken on fleets of crowded buses with little personal attention to your interests or needs. Cruising can be an insulated experience, mainly catering to North Americans, and when the cities come alive at night, you are generally back on board eating in the same ship restaurants instead of discovering authentic local cuisine and becoming acquainted with Europe's exciting night life. Tours and cruises have some things in common: They are both fun, hassle-free travel experiences good for couples, singles and families. On both a tour and a cruise, fares include transportation, accommodations, entertainment, and onboard (or many included) meals. On the ship, there is a staff that caters to your needs. On a tour, you are accompanied every step of the way by a Tour Director who acts as your personal concierge, local historian, and destination expert. But it's not the similarities that should be a defining reason you choose a tour over a cruise - it's the differences! On an ocean cruise, group size can easily range from 1,500 to over 5,000. Most destinations are only seen during the day, and major sightseeing is at an extra cost. For example, a Rome cruise excursion costs $229 per person to visit the Sistine Chapel, Colosseum, St. Peter's Basilica and the Vatican. On a typical 10-day cruise these optional shore excursions can cost you thousands of dollars - and you will be traveling with a fleet of 25 or more 54-seat buses, making the experience rushed and crowded. On an escorted tour, the group size is never more than 52, and more often is closer to 36. And all major sightseeing is included in the tour price! For example, the Rome excursion above would be included on an escorted tour at no extra cost to you! On a land tour, you can enjoy mountain excursions, gondola rides, and train trips. You'll visit palaces and castles, tour museums and galleries, sample local delicacies, and dine in local restaurants. And because the tour group is small, you'll make friends with fellow English speakers from around the world. Perhaps the most surprising difference between a cruise and a tour is the price. While cruises appear to be a great deal when you start out, after you include all the extras, you pay a lot more than you bargained for. Whether you are a past cruise passenger ready for your next adventure, or looking for a vacation that really shows you Europe, escorted touring offers a world of sightseeing that cruisers can only dream about. Immerse yourself in the culture of a country, enjoy local cuisine, meet local people, see wonderful sights and step in the path of history. Think about what you really want out of your next vacation, and then make the choice that's best for you! For more information on Escorted Vacations, contact your local Travel Agent, or go to www.thetravelcorporation.com.